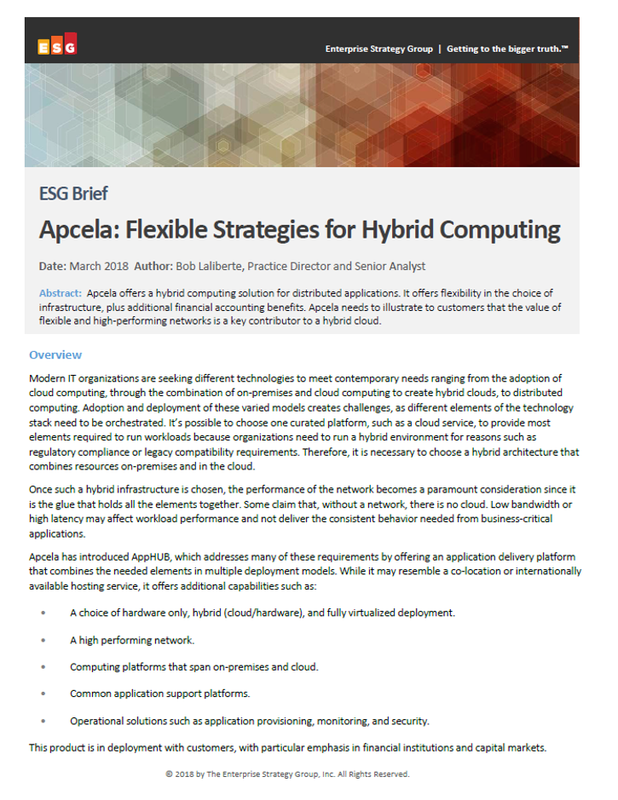 In this briefing from ESG, Practice Director and Senior Analyst, Bob Laliberte, explores how modern IT organizations are seeking different technologies - ranging from cloud computing and distributed computing to the deployment of hybrid clouds. The adoption of varied models creates challenges, as different elements of the technology stack need to be orchestrated. Therefore, it is imperative to find a way to weave various compute models together in order to succeed in a rapidly changing IT landscape. Laliberte illustrates how Apcela's unique solution AppHUB solves these challenges and yet enables enterprises to meet their requirements today and tomorrow.